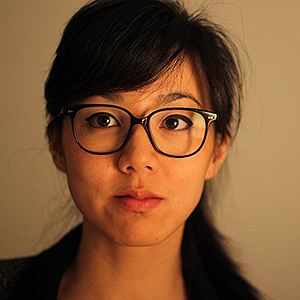 Elizabeth Lo is an award-winning nonfiction filmmaker who seeks to find new, aesthetic ways of exploring the boundaries between species, class, and states of personhood. Her short films, including Hotel 22 and Treasure Island, have been showcased at festivals and venues across North America and Europe, including the New York Times, Sundance, True/False, Cannes Lion, Hot Docs, and DOK Leipzig. Elizabeth was named one of the 25 New Faces of Independent Film by Filmmaker Magazine in 2015. She has been nominated for an IDA Documentary Award and is a recipient of the Telluride Student Symposium Fellowship, the UFVA Graduate Student Fellowship, the Carole Fielding Grant, the Enersen Foundation Breitrose Award, and the Stanford SPICE! Award. She holds an M.F.A. in documentary film from Stanford University and a B.F.A. in film and literature from the Tisch School of the Arts at New York University. Prior to graduate school, Elizabeth wrote and co-produced for the award-winning documentary series Our America with Lisa Ling. She was born and raised in Hong Kong.